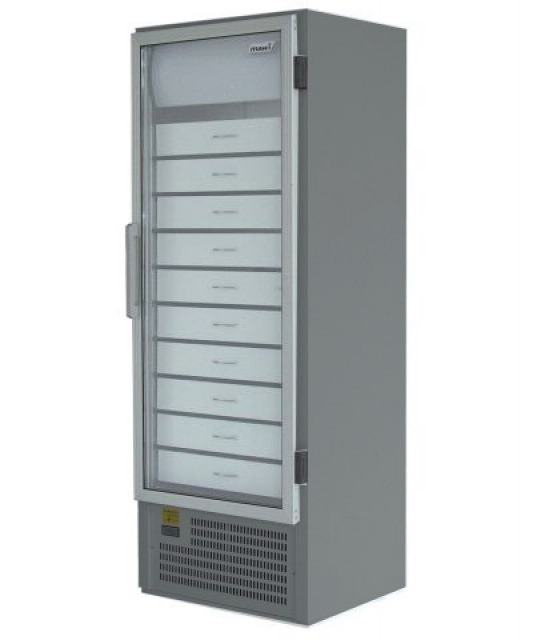 The 400 liter pharmacy cooler is equipped with 8 pcs drawer(s), dividers in the drawers, stainless steel exterior-interior, inside light, adjustable levelling legs. Dynamic cooling, automatic evaporation of condensate and automatic defrost. Choice of door opening direction.